The Denver Business Journal | Leadership Trust is an invite-only, fee-based network of influential business leaders, executives, and entrepreneurs in the Denver region who share their insights with our audience. 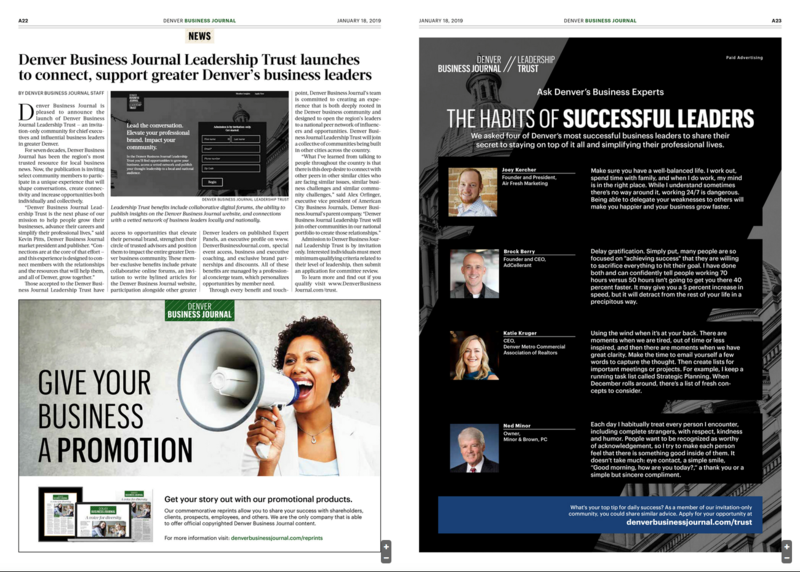 The content that is labeled as the Denver Business Journal Leadership Trust is produced and managed by the group. Here is More Information About The Leadership Trust. We at Minor & Brown, P.C. are very proud that our very own Ned Minor was selected by the Denver Business Journal as one of the six leaders appointed to the Denver Business Journal Leadership Trust, thank you DBJ. Denver Business Journal January 18, 2019, print version featuring MB Law's Ned Minor in the article "The Habits of Successful Leaders." For a larger version of the image below see the Business Journal Leadership Trust Tweet. Ned Minor - Minor & Brown, P.C. 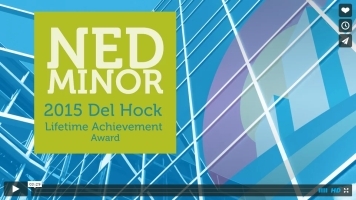 Six Steps to build an efficient, less stressed work life from the DBJ Leadership Trust.